We have not met for a long time. Finally go together on August 16, 2018. It was small group with John Jackson, Eric Jacobson, Christian Reha and Charlie Mosse. Melon seed before heavy pruning and thinning. 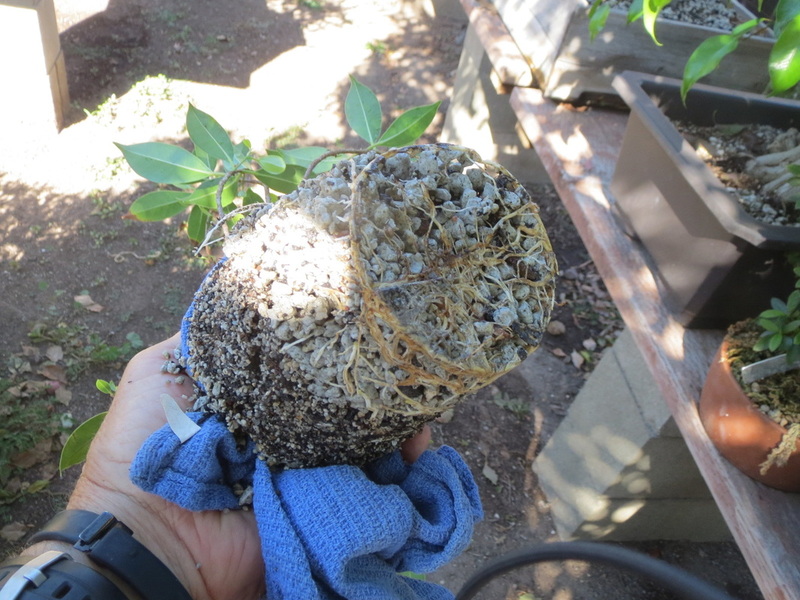 It has been growing in this container for two years from an airlayer that was about 1/2" diameter. Diameter is now about 1 1/4". The front is now shown. The questions are which top branch will be the apex and what will be a desirable planting angle? 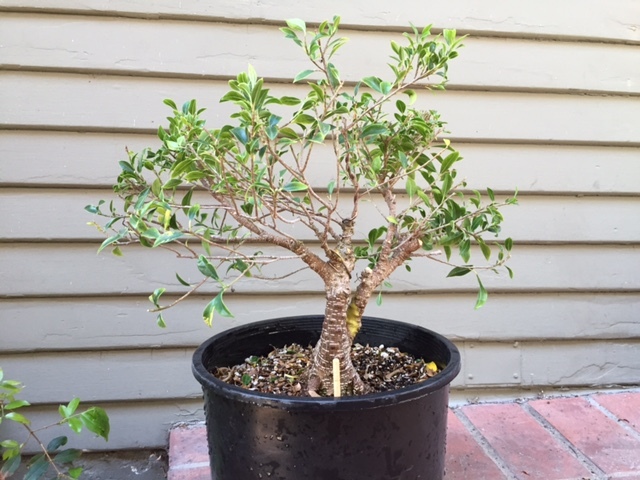 Tiger Bark re-potted from a nursery container and grown in this container for two years. The tree was pruned, thinned, defoliated and wired. A new apex is being trained by zip tying a younger branch to the old apex which was cut off leaving a section on which to tie the new apex to. This will give better taper to the final apex. Retained only the primary branches to create the basic structure. Tiger Bark semi-cascade in training for several years was grown from a ???? 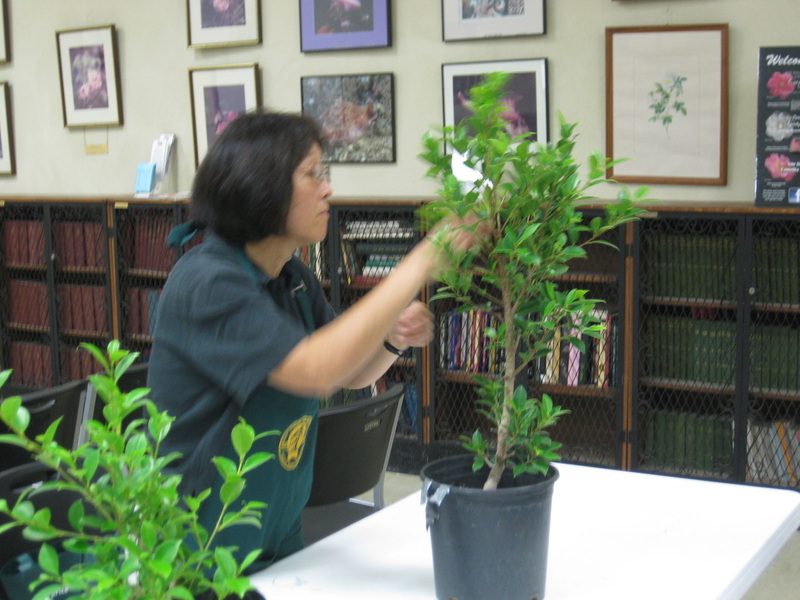 Today the tree was defoliated, pruned, thinned and defoliated. This time of year the tree will re-foliate in about 3-4 weeks with smaller leaves. More to come. Only two members today for the June workshop. Eric and I had John to ourselves. 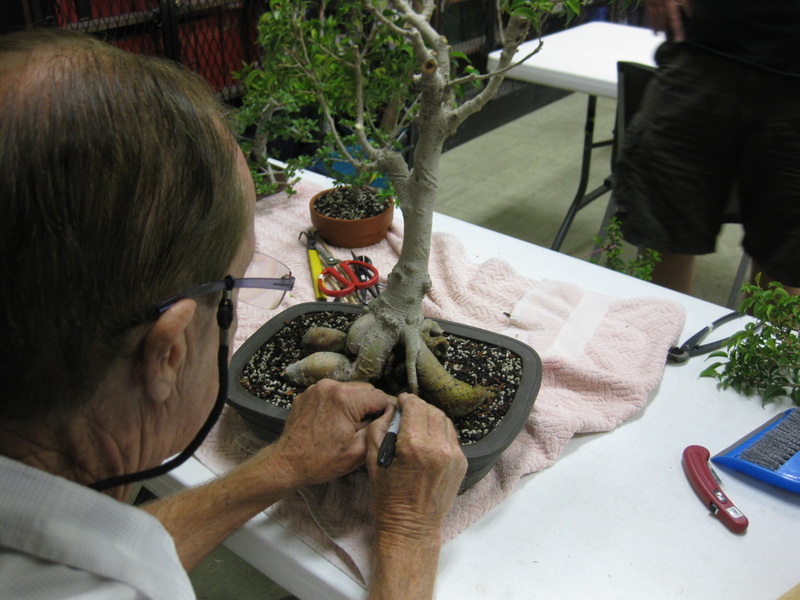 Got lots done and learned more things about Ficus: Concave cuts are definitely a must to get the bark to heal over a wound properly and it is best to seal the cuts at once as the bark will dry quickly within days or just a couple of weeks and the resulting wound will look shabby. We did do a fun thing we do not see often. A triple trunked Melon Seed did not look very good as a triple. Sooooo, one of the trunks was removed with its own roots attached and lots of them. The triple trunk was an airlayer done early July 2015 and removed in early October 2015. It was planted deep with roots about 1/3" below the surface and then the trunk base covered with sphagnum moss. Today, 12 months later, the trunk which was removed had developed its own roots growing from a 90 degree pie slice from its base. The trunk was removed with a fine toothed saw very carefully so as not to cut the roots on the side that was rooted. Once the cut was completed, the roots were teased out from the main root ball revealing lots of roots on one side of the new trunk. 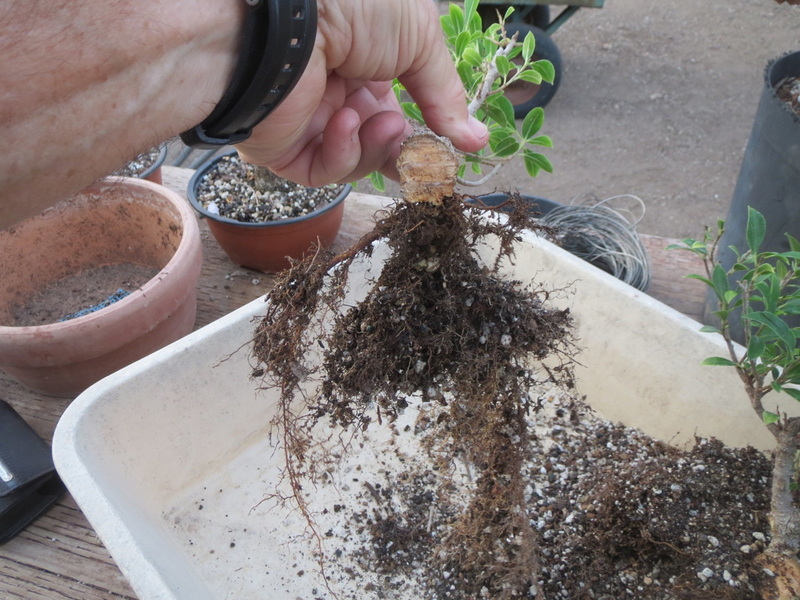 The roots were soaked in rainawater for 15 minutes and then planted into shohin/small mix. It was planted deep so as to encourage roots on the unrooted side of the trunk. Rocks were put on the surface of the soil to steady the tree while rooting. 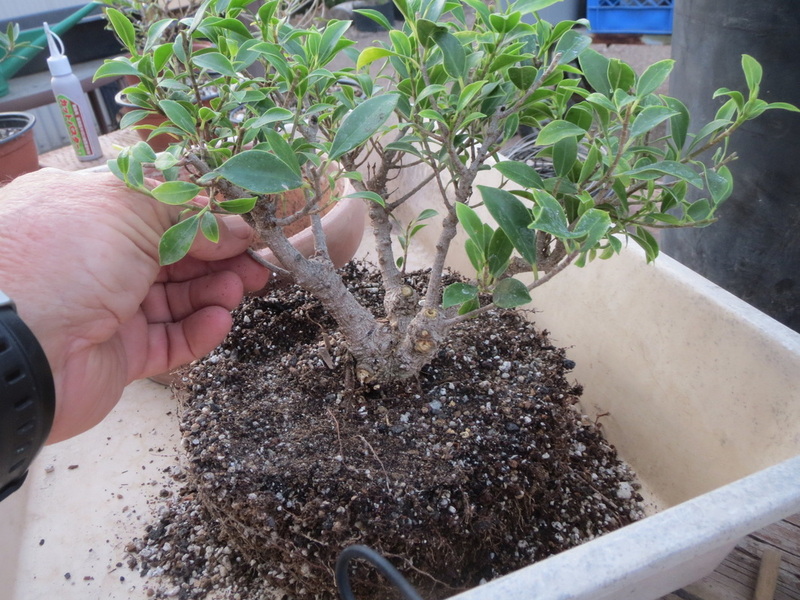 The new tree was then placed into an enclosed, heated "propagation" box, clear sided about 15"x16 widex24" long Sterilite storage box, that is used for cuttings and as an infirmary. 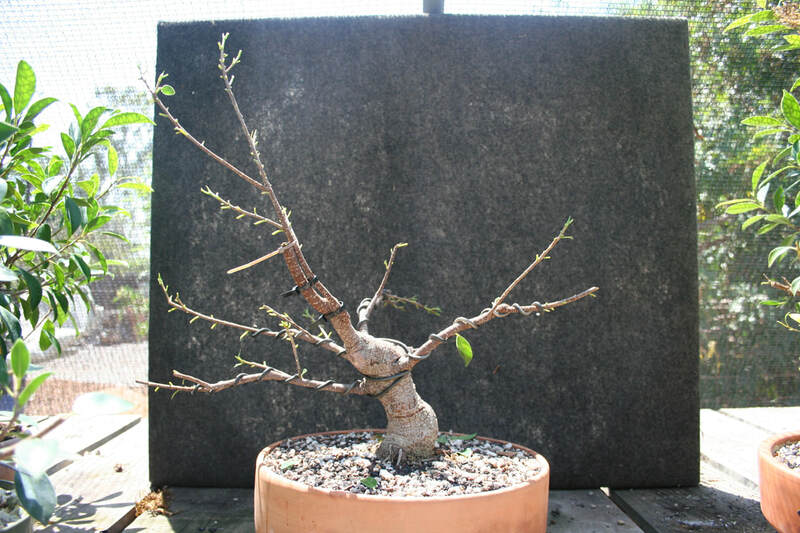 The mother tree was also repotted in the same mix but the pot was down sized from an 8" to 5.5" pot. It too was placed into the prop box. 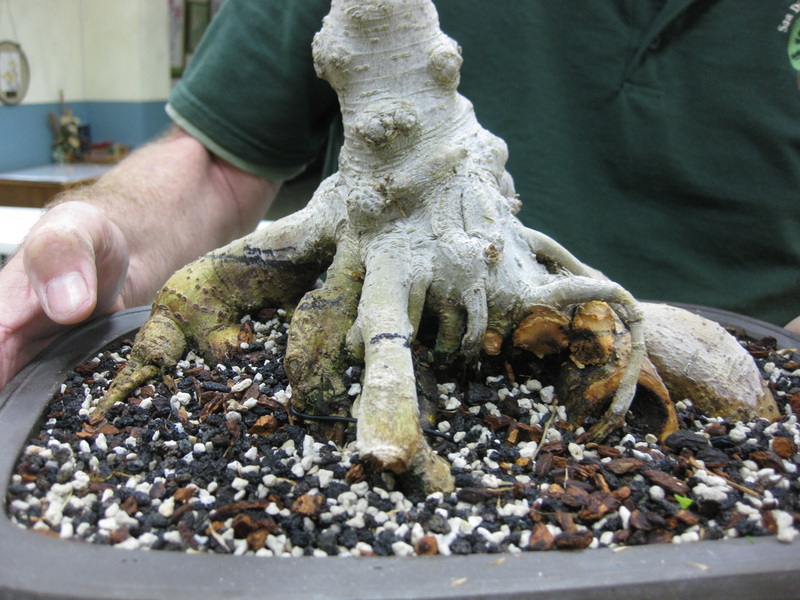 This procedure was done a bit late in the Ficus growing season so being in the heated box will help to recover the roots before it gets too cool for the roots and wounds to recover on the outside. 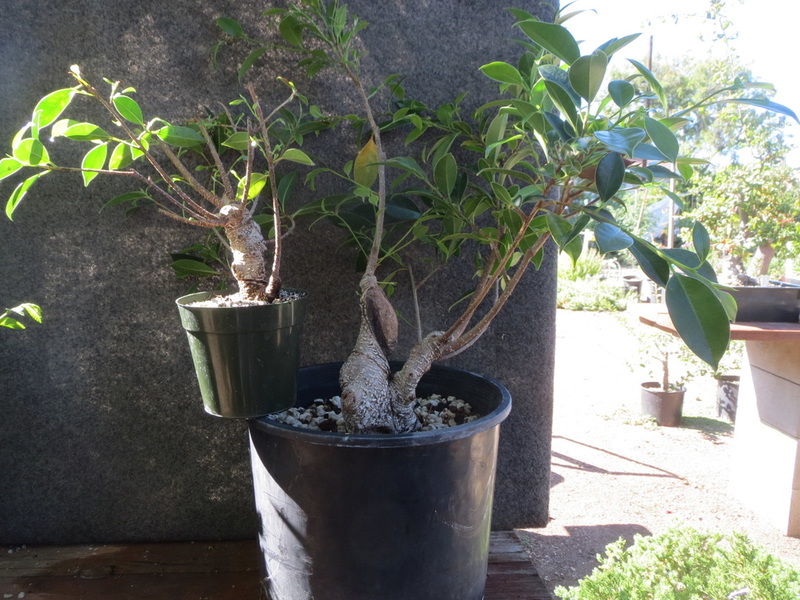 Two Ficus salicaria styled and re-potted by Adam Lavigne of AdamAskWhy fame, compliments of Eric. Nice shohin. 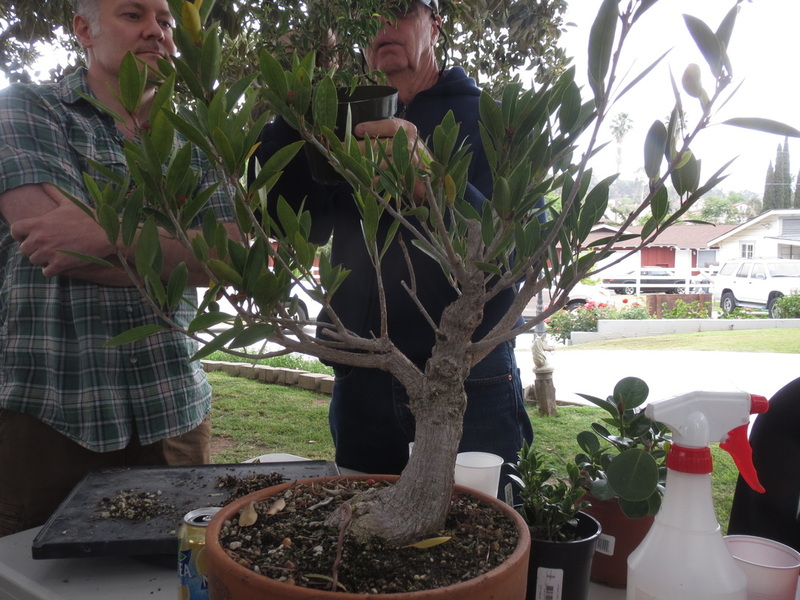 John Jackson and he said that pruning and styling is OK but no transplanting. Added this later Day temps in the 70's, preferably in the upper 70's are OK for Ficus but they do grow faster when temps are about 80 and above. The bigger issue is the night time temps are getting below 65, sort of a magic number, and into the fifties. That slows down the growth and wound recovery significantly. Then combine highs in low 70's to high 60's with lows in the low 60's and below, most Ficus really slow down and eventually stop growing. 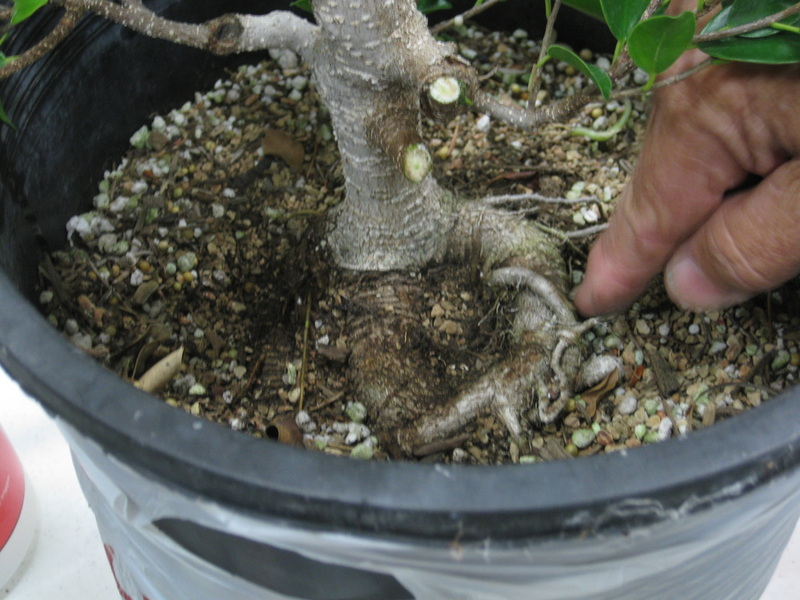 If you have a greenhouse or can apply bottom heat and some type of cover/enclosure, then you have more wiggle room to extend the growth or at least reduce the effects of the cold on your Ficus. Even a greenhouse requires the use of bottom heat to keep Ficus happy unless it is heated either passively or by heating units of some sort. 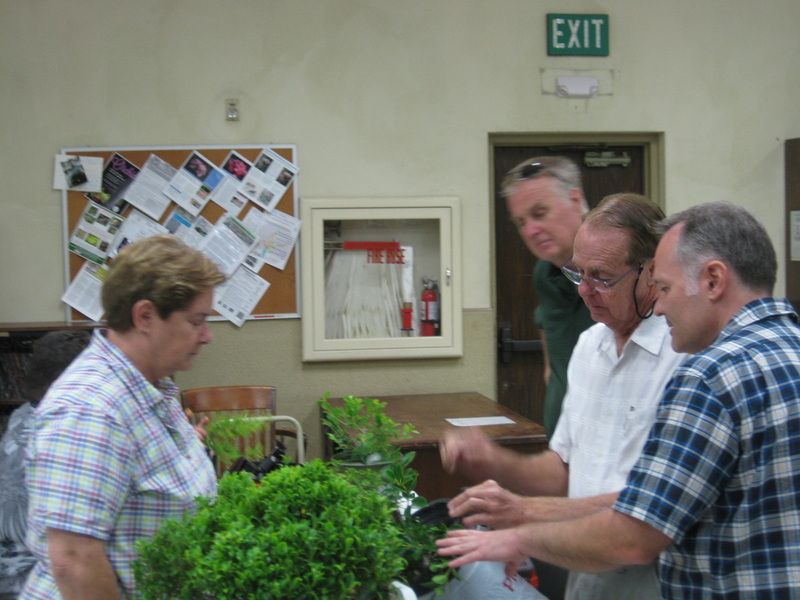 We had our workshop on Sunday September 18th at Charlie's. we worked for a bit over 5 hours and then broke for lunch. 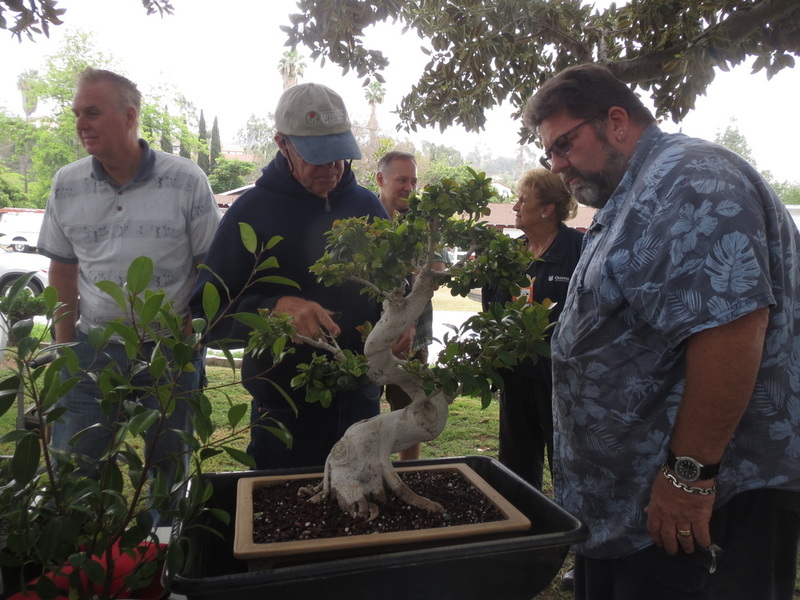 In the meantime, new information was received about a new Ficus pest found. 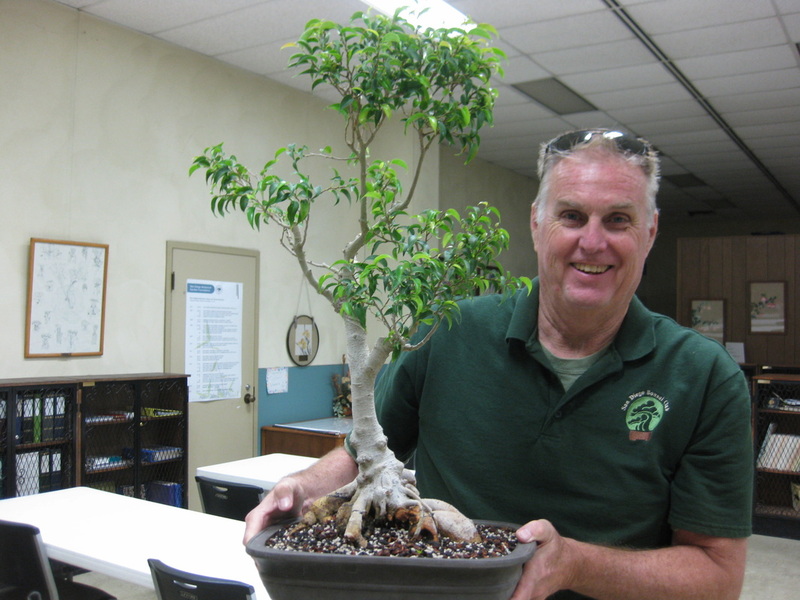 'Lyn gave me an article her husband Jim found in American Nurseryman about a new pest found on Ficus here on California. The link below is not his article but is from the UC system. This pest is very similar to Cuban thrip we are all familiar with and can be controlled in the same manner. 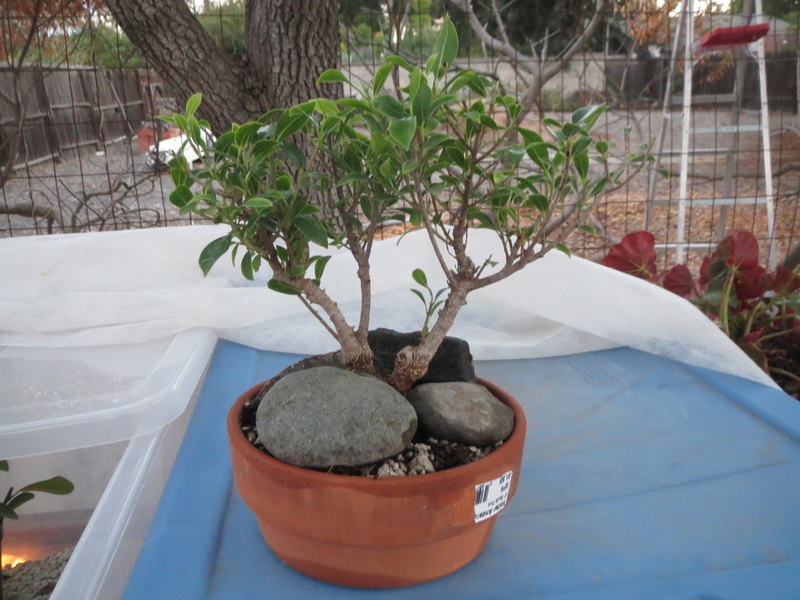 Dwarf benjamina prior to root correction, after thinning. Marked roots for correction on dwarf benjamina using Sharpie to make black lines. 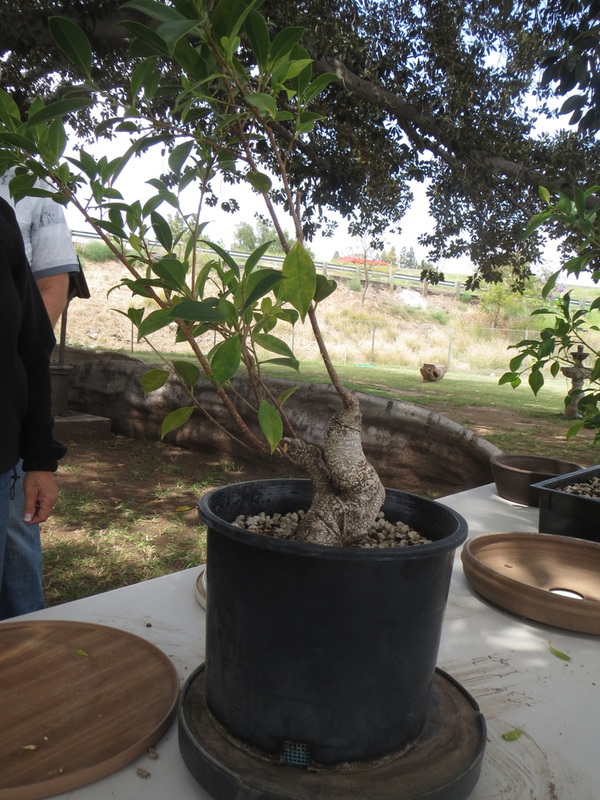 A few members have seen a new pest on Ficus microcarpa (nitida and retusa) varieties. Info is below. The video is really informative and brief. It shows good images of the issue(s). Sorry, could not get the second link to...link. 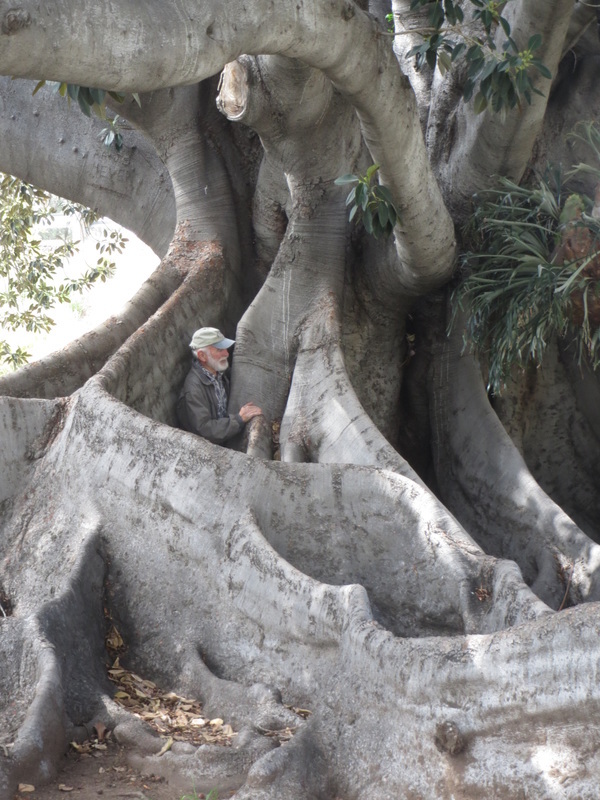 This link is good for us Ficus folks which was found by our intrepid Eric. 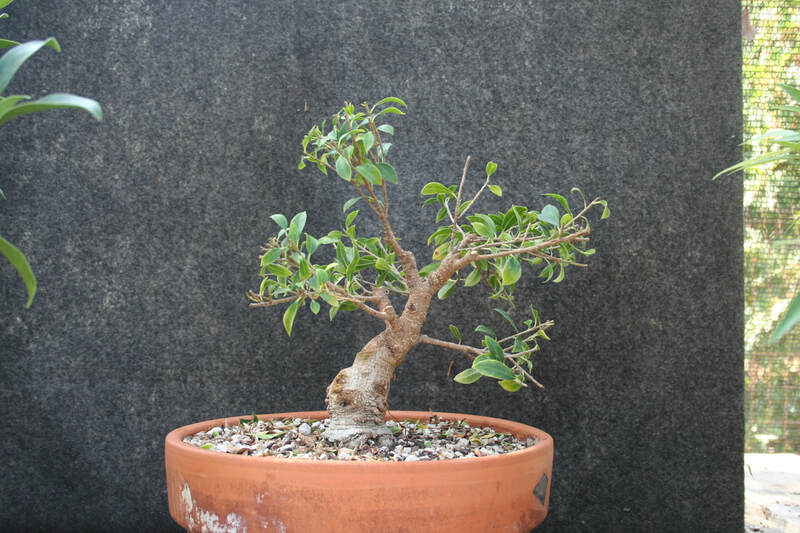 Very much worth the look-see about proper styling of Ficus and other non-conifers. http://bonsaibark.com/2016/06/14/a-common-mistake/, and for a bit more info go to http://bonsaibark.com/2015/06/18/whats-wrong-with-these-trees-or-not/. Just a couple of more photos and a few more words but it does add to the explanation. 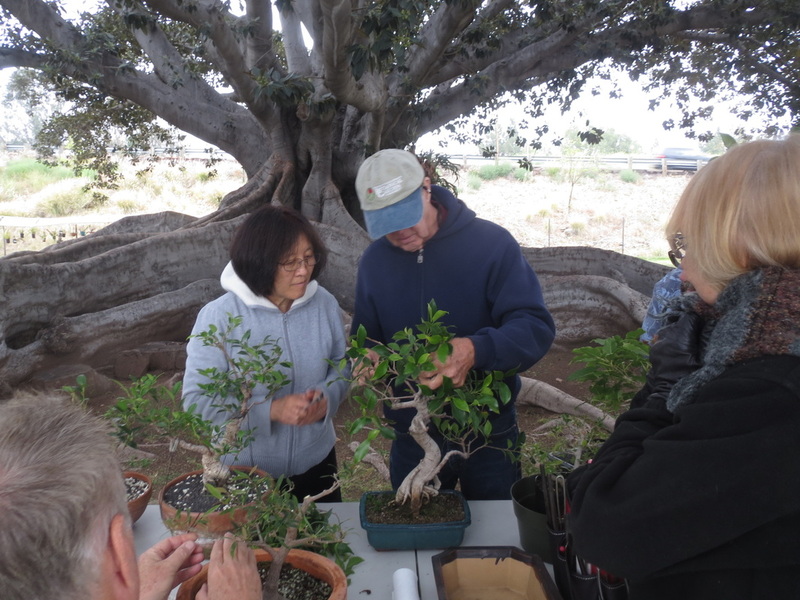 We had our first workshop on May 28th under the giant Moreton Bay Fig at the Ogdon's. 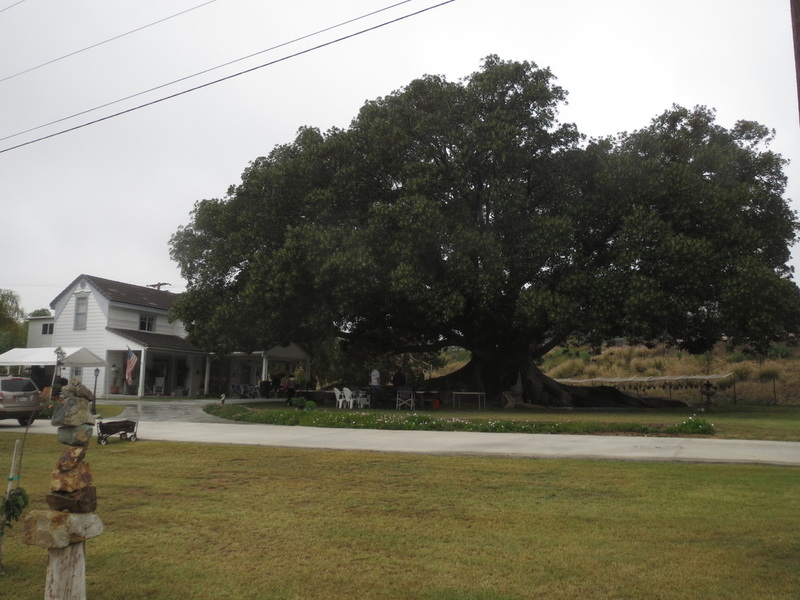 Cool, overcast day but nonetheless beautiful under this magnificent specimen. More to come. The white table on the right is 6 feet long. Do the math. Yi and John hard at work. Good student, good teacher. Bill Graham's tree is undergoing some minor changes with John. Some serious movement in this trunk. The trunk base on Eric's tree (Ficus salicaria '89) is soooo much better looking in real time. 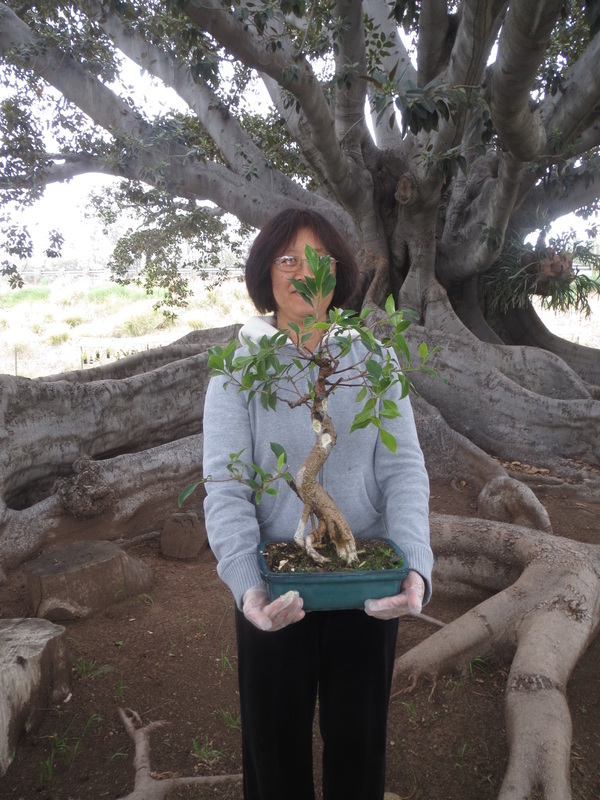 It has been said that large Ficus cuttings are easy. Well, this Tiger Bark was beheaded today, 5/28. The upper right photo is the 1 1/4 inch base cutting on July 5, only 5 weeks from when it was cut. The lower right photo is mother and daughter together. We are all members of the SDBC but will operate like the Shohin Study Group and Oak Study Group, that is we are a private study group with more control of our direction, meetings and make up of the group than if we were sponsored by the SDBC. 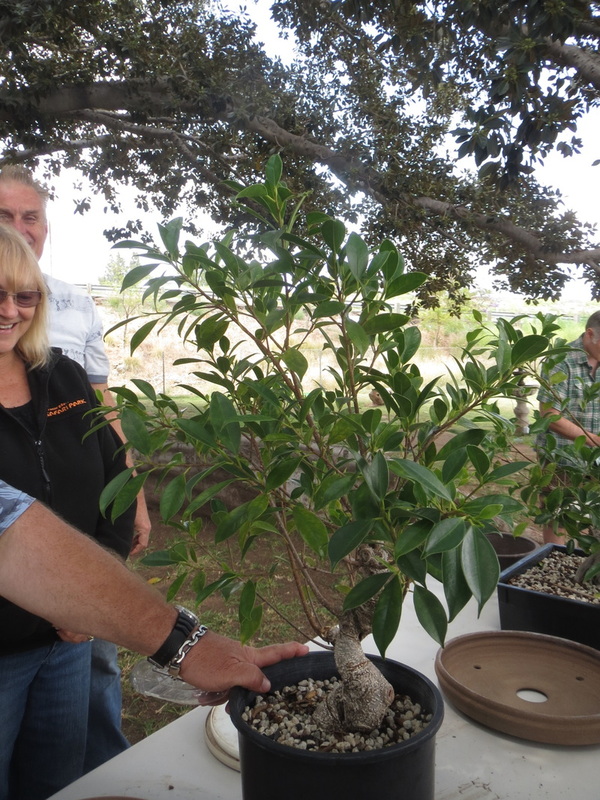 Little will be done in the colder months since ficus are "warm blooded", being the most active May through November with the best heavy work months like re-potting, grafting, cuttings, layering being June through August, and for some tasks through September. 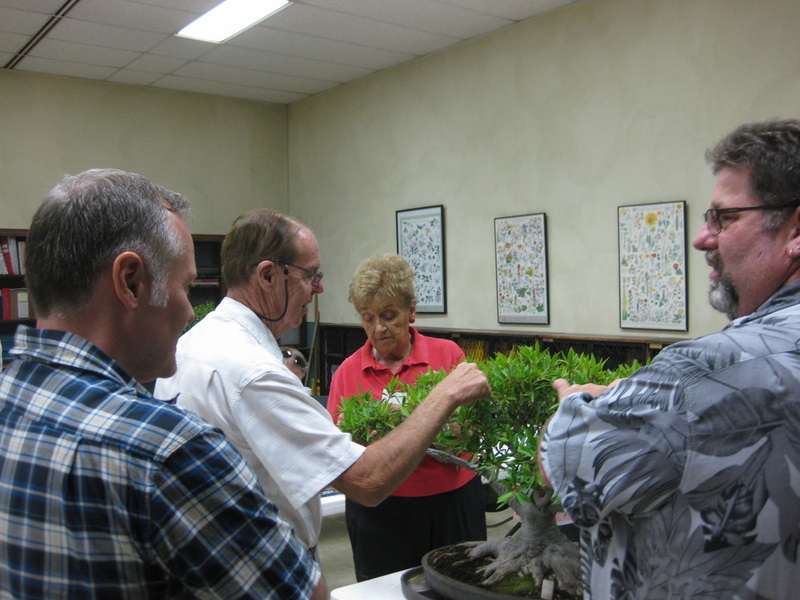 There are 9 students and our instructor, John Jackson who is a member of an international ficus group. This is an OK size for a study group but large enough that the workshops need to proceed in an organized fashion in order to get things done on our trees. Depending on the size and what needs to be done to the trees that are brought to the workshops, the other study groups have effectively done work/critique/plan on 1-5 trees per person. It looks as if having the meetings after the regular meetings is going to work out best. Room 104 is available to us until 5 on those Sundays and we are all already there.